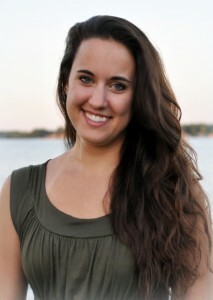 Adrianna McIntyre is currently a PhD student in the Health Policy program at Harvard University. She graduated in 2015 with a dual Master of Public Health/Master of Public Policy from the University of Michigan School of Public Health and Gerald R. Ford School of Public Policy. After earning her undergraduate degree in cognitive science at U-M, Adrianna facilitated clinical research regulation at the Wayne State University School of Medicine. She was named a 2013 David Bohnett Foundation Leadership and Public Service Fellow and spent the summer of 2013 serving her fellowship at the Office of the Mayor in Detroit, Michigan. Before joining TIE, Adrianna founded Project Millennial, a space for young adults to blog on contemporary issues in health policy. She has contributed to Bloomberg View, Vox, and The Week, and her work has been cited online at The Washington Post, The New Republic, The Daily Beast, and Forbes, among other outlets. From June 2015 to June 2016, Adrianna was a David A. Winston Health Policy Fellow in Washington, DC, during which she worked in the Office of Democratic Leader Nancy Pelosi.